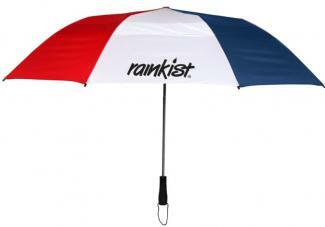 Promotional Items, Inc.™ invites you to select Rainkist Umbrellas. Personal size & golf umbrellas custom printed with a logo for advertising gifts. Versatile by natural promotional umbrellas make perfect business advertising gifts. 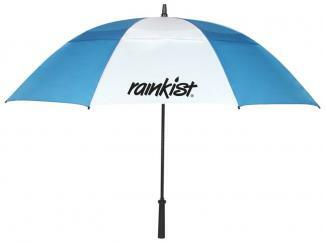 PII offers the best umbrella, Rainkist® Umbrellas with your logo custom printed. 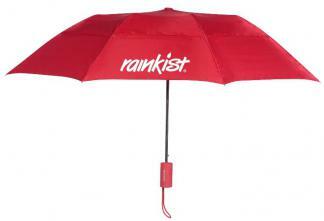 Rainkist® umbrella quality is hard to beat & offering a limited lifetime warranty. Get your logo printed on any of our brand name umbrella styles at a low cost. Some of our umbrellas are offered in up to 40 colors for your company logo. Many of our personal and golf umbrellas have No Factory Setup Charge. invert in up to 50 mph winds. Solid and alternating colors offered as well. can make an informed order decision for your promotional umbrellas. 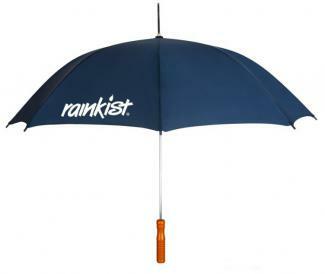 Browse below to find the Rainkist® Umbrella you desire. 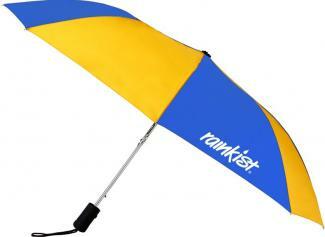 Rainkist Umbrellas, personal size, golf umbrellas imprinted with your logo. 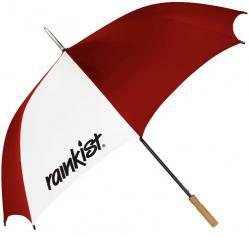 PII features the entire line of Rainkist promotional product umbrellas, inquire.